This entry was posted on Friday, December 31st, 2010 at 8:33 am and is filed under License requests. You can follow any responses to this entry through the RSS 2.0 feed. Both comments and pings are currently closed. Your dedication to Gatcha Gatcha (the good one) is an example to us all! Zettai Heiwa Daisakusen ended just a few months ago. I suppose the last volume hasn’t been published yet. 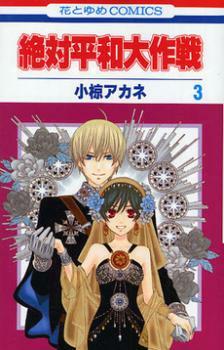 I read few scanlated chapters of Himitsu no Himegini Uwasa no Ouji and was bored. Bland is the most fitting adjective. But to end with some real requests: There’s Yoroshiju Master that you’ve already posted about. Then there’s Natsumi Itsuki’s fantastic (at least based on the anime) reverse harem Hanasakeru Seishounen. Though I suppose it’s a bit dated having started in the 80s. Yuki Midorikawa has aother earlier manga, Akaku Saku Koe about a boy who can make people do anything with just his voice. 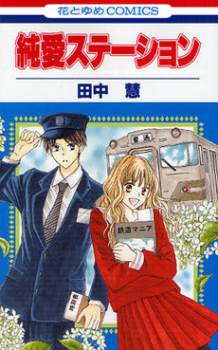 Kingyo Sou (Goldfish Sonata) is a sweet two volume series about a girl who falls in love with a boy who’s deaf. 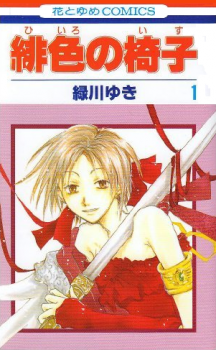 From ongoing manga I’d most love to see Akagami no Shirayukihime get licensed. The art is absolutely beautiful and while the premise sounds somewhat cliched, the execution is exceptional. Please, don’t shut up! All of your suggestions sound good, but I’m particularly intrigued by Kingyo Sou. Rij is correct, Zettai Heiwa Daisakusen ended in the Nov issue of LaLaDX, so it’ll be 4 volumes. The few chapters I’ve seen of it is quite charming, and I also liked and would love to buy in English her previous series, Mademoiselle Butterfly. I like that her historic/period settings feel a little more original/believable, not so generic (which is my problem with a lot of fantasy manga settings). Butterfly is early 1900s Japan, I think, and Zettai seems loosely based on European and Middle Eastern(?) nations. Ohh, Kingyo Sou is super sweet!! I really want to read the rest of that one. 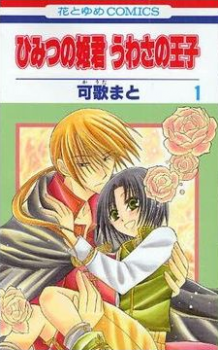 I’d nominate Mikado no Shihou by Emiko Nakano, just because the covers and art style look adorable and I love adorable. Also, Film Girl by Shigeyoshi Takagi is a cute and very funny story about a former child model (girl) and a former otaku who is now a model (boy). I picked it up in Japanese (after reading a chapter in the magazine) and loved it! Yes, I noticed that Brother ran in DX under the thrilling title With! More Saito would definitely be welcome. Hiiro no Isu looks the niftiest out of that batch to me. It looks like Midorikawa has another quasi-mystery series, too, called Akaku Saku Koe. Nice and short, as well. I’ll always be up for more Midorikawa.